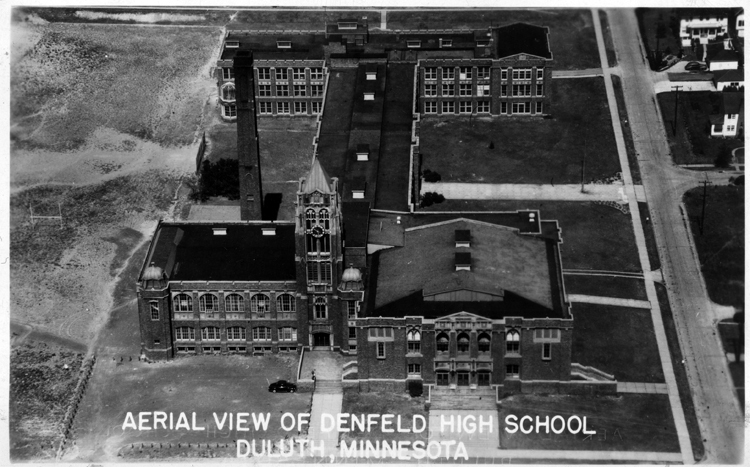 Built in a style dubbed Collegiate English Gothic, Denfeld High School (home of the Hunters) reflects Renaissance ideals. The building is shaped like an H with a rising clock tower that stands for “aspiring idealism.” The building’s eight buttresses were intended to represent “the eight types of human beings who supported the human kingdom: masters, rulers, philanthropists, philosophers, magicians, scientists, devotees, and artists.” Stone carvings of Renaissance symbolism adorn the school. 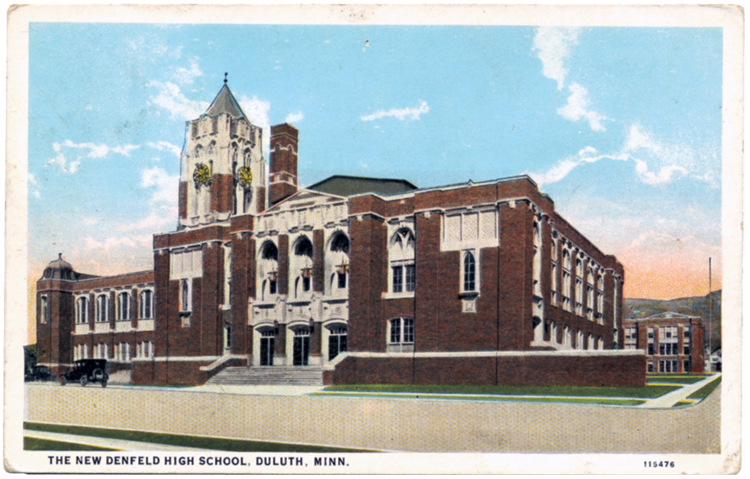 The building is still in use as a high school today; it takes its name from Robert E. Denfeld, Duluth’s superintendent of schools for over thirty years beginning in 1885. In 2014 the building underwent radical modifications and expansion by additions.